Another first for the Note. That was the second biggest surprise Samsung had for me during my Note 9 briefing earlier this week. The first was the price: $1,000 for the 128GB base model and an eye-popping $1,250 for the 512GB version. That’s $100 more than the top-of-the-line iPhone X (which only has 256GB of storage) for those keeping score. 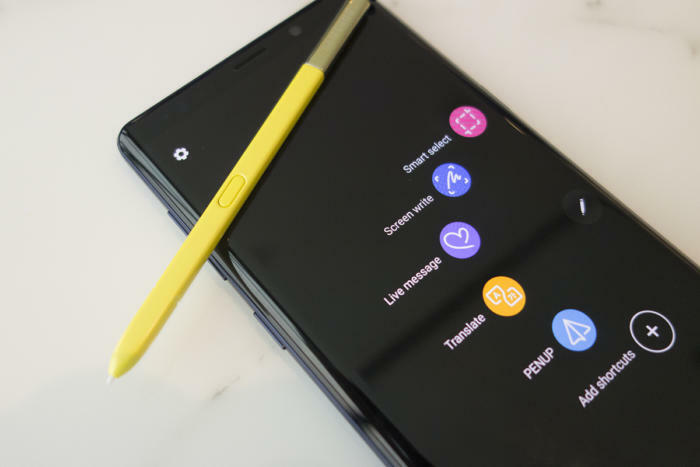 So Samsung’s Note 9 brings another first for the Android world: sticker shock. 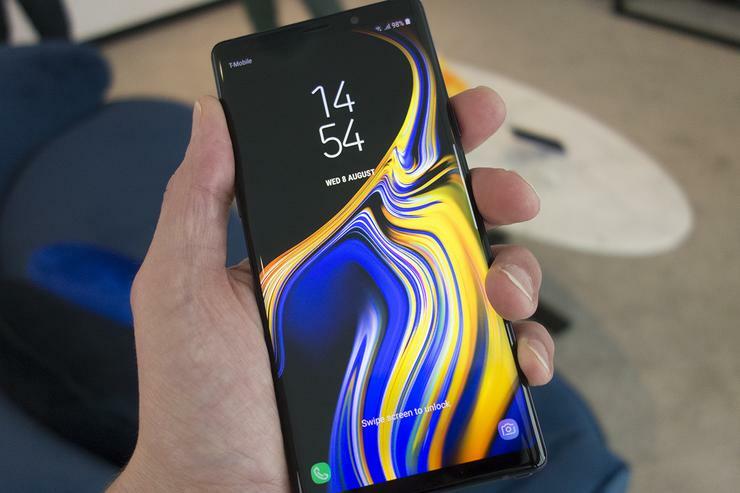 Otherwise, Samsung’s newest phablet is pretty much exactly what I expected it to be, what with an endless stream of leaks and rumors spilling nearly every bean there was to be spilled. I already knew about the processor, the new S Pen, the storage increase, and the AI camera. The Note 9 is basically a Note 8 with Galaxy S9+ specs and a more logical fingerprint sensor placement. The display is a tenth of an inch bigger than its predecessor, but I might not have noticed when I picked up the Note 9 for the first time, if not for its weight. The Note 8 is already one of the heaviest phones you can buy, but the new Note adds noticeable heft, pushing it over the 200 gram mark. But the Note has never been designed for use with one hand, so that probably won’t be an issue for anyone who buys one. The new handset doesn’t bring any truly revolutionary features or wild innovations like prior Galaxy phones, but if you’re a Note fan, No. 9 checks off more than enough upgrade boxes. Whether that’s worth four-figures is another story. The target audience for the Note has always been power users, and the Note 9 is squarely aimed at multi-taskers (or, as Samsung calls them, hyper taskers). 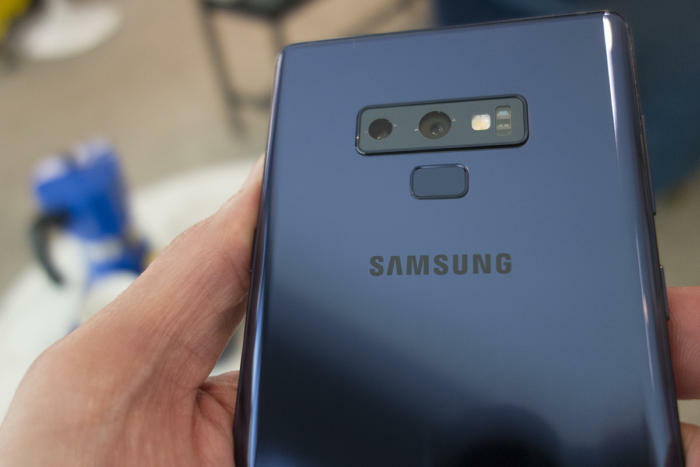 You can check out the full specs of the Note 9 here, but you can pretty much guess what a phone costing $1,000 in late 2018 has on the inside. Of note, Samsung has doubled the base storage from 64GB to 128GB, but real power users will be more intrigued by the 512GB version. That’s twice the storage Apple offers on the top-of-the-line iPhone X. The 512GB model also comes with 8GB of RAM, the most ever in a Note phone. The fingerprint sensor on the Galaxy Note 9 is in a better spot this year. It also packs a 4,000mAh battery, another first for a Galaxy phone and a decent 20 percent boost over the Note 8’s 3,300mAh cell. Samsung is well aware that the Note 7 recall is still fresh in our minds, so I was assured that the new phone has gone through the same rigorous testing as every other post-Note 7 phone. Samsung could have easily put a 3,500mAh battery in the Note 9 and called it a day, so it’s good to see the envelope being pushed again. Buyers of the Note—especially ones willing to pay over $1,000 for one—are more interested in power than AR Emoji, and Samsung has certainly delivered with the Note. The only knock on its spec sheet is that it’s still running an OS based on Oreo, which is technically outdated now that Pie has arrived. The camera inside the Note 9 is the most surprising feature, precisely because there are no hardware upgrades. Spec-wise, it’s identical to the S9+, right down to the gimmicky Dual Aperture. What’s different is a dose of artificial intelligence in the form of an optional scene optimizer. We’ve already seen similar systems in phones like the Mate 10 Pro and the LG G7 ThinQ with varying results, so it remains to be seen if it’s successful on the Note 9. 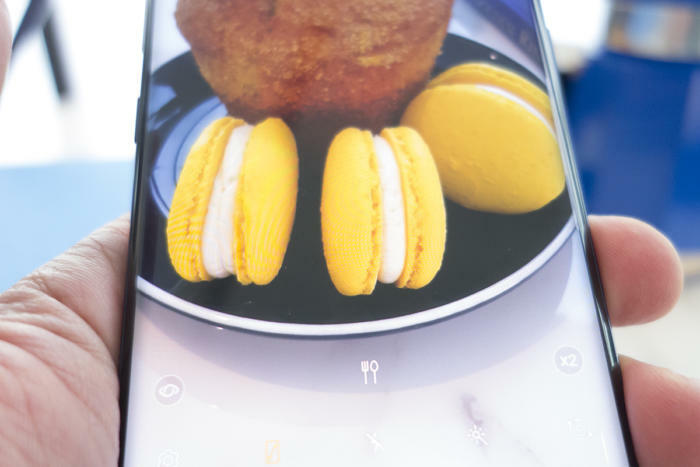 That tiny fork-and-knife icon lets you know the Note 9’s camera has recognized it’s looking at food. Here’s how it works: Samsung has preloaded some 20 scenes for things like food, sunsets, and plants. Point the camera at an object and the Note 9 will attempt to identify what it’s looking at via a small icon above the shutter. I only got to test it with very obvious things like plants and fruit, but it switched settings quickly and did a fine job adjusting color, contrast, and white balance, at least to my eyes. I’ll be sure to test it thoroughly in my full review, but at first blush, I wasn’t blown away. It seems more like a feature more geared toward a cheaper phone with more mass appeal, like the S9. Specs and smarts aside, the main reason for the Note’s existence has always started and ended with the S-Pen. One of the few phones to come with a stylus on board, Samsung has done well to integrate the S Pen into the Note experience over the years, with the air command menu and screen-off menus bringing unique features that you won’t find on any other phone. You can still use the S Pen on the Note like before, which is what most people will probably do. The S Pen on the Note 9 doesn’t look or feel any differently than the one on the Note 8 (aside from the new yellow and lavender colors), but there is one major change. Samsung has finally added Bluetooth Low Energy to its S Pen, giving it the ability to control the phone remotely without needing to touch the pen’s tip to the screen. It’s a big upgrade with tons of potential, but the applications are pretty limited at launch. Since the pen does all of its pairing and charging when inserted into the phone, it’s a remarkably simple process, but I’m not sure how often people will take advantage of its remote capabilities or even know they’re available. Samsung showed off its ability to control the camera remotely just by pressing the S Pen’s button, and there are a few other obvious uses while playing music or advancing slides. Music control is probably the most useful—especially with its Dolby Atmos-ready stereo speakers—but even so, I failed to finds an immediate killer use. Maybe that will change over time. Just a handful of apps will work with the new S Pen at launch, and ultimately its usefulness will be dependent on developers’ creativity. Thankfully, all of the old S Pen functions still work, even if the stylus isn’t charged. But lack of juice will never be an issue. The S Pen is constantly charging when cradled, and needs just 40 seconds to get enough juice for a half-hour of use. Is the Note 9 worth the price? The final piece of the Note’s productivity push is DeX. Like the Note 8, the Note 9 can be expanded to run on an external monitor, but you don’t need to buy a $100 accessory anymore. Just a single USB-C-to-HDMI adapter will do the trick, significantly lowering the bar for adoption. It basically works the same as the docked version—plug it in, add a keyboard, and use your phone as a trackpad—but the new connection is both cheaper and more portable. We already saw this on the Galaxy Tab S4 that launched last week, and it’s a great evolution of an underrated feature. But for all its abilities, the most stunning thing about the Note 9 might be its price. Of course, Apple was the first to sell a four-figure phone, but the iPhone X represents a dramatic change for the iPhone with new tech and a radical design. The Note 9 is a incremental update with an outdated operating system. And this year you can’t even buy one in black.